This item is well made of food- grade silicone for durable and long-lasting use. It is with 24 cavity each tray, 8 rose shape, 8 heart shape and 8 gift box shape. It can be used in the both oven and microwave. Silicone cake moulds won't crack or break like stiff plastic molds or trays, which is easy to fill, to use and to clean. 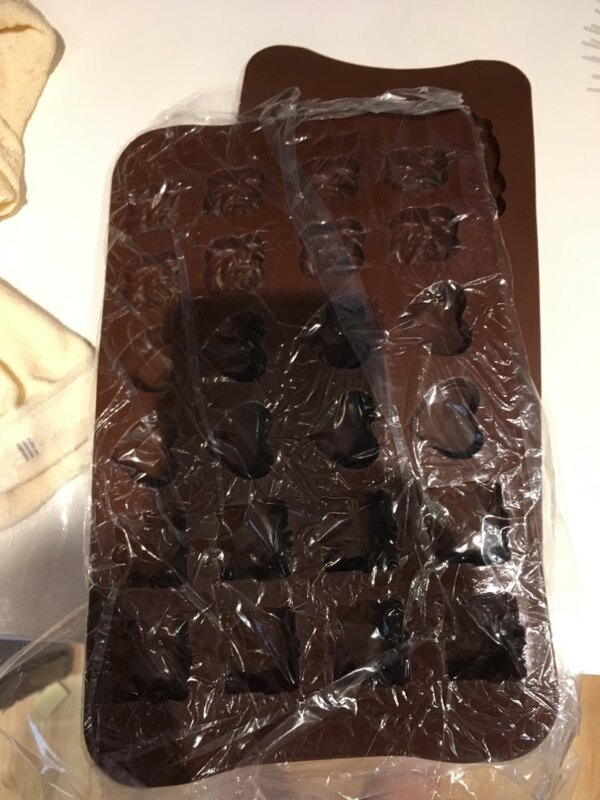 With resuable design, it is really a wonderful chocolate mold kit for choice. Size: About. 23 * 13.5 * 1.5 cm / 9.06 * 5.31 * 0.59 inch (L * W * H). Can be used in the oven, microwave, etc. Corrosion resistance, no sticky after use. Save time and safe: very easy to clean and save time, only wash with soap and water, rinse, shake water and let air dry. High-quality silicone material, tasteless, non-toxic, anti-dust, durable, impermeable, bake flexible. Ideal for an auxiliary service or for an invitation, or on Valentine's Day or birthday or Christmas and other feast that you can make special surprise.